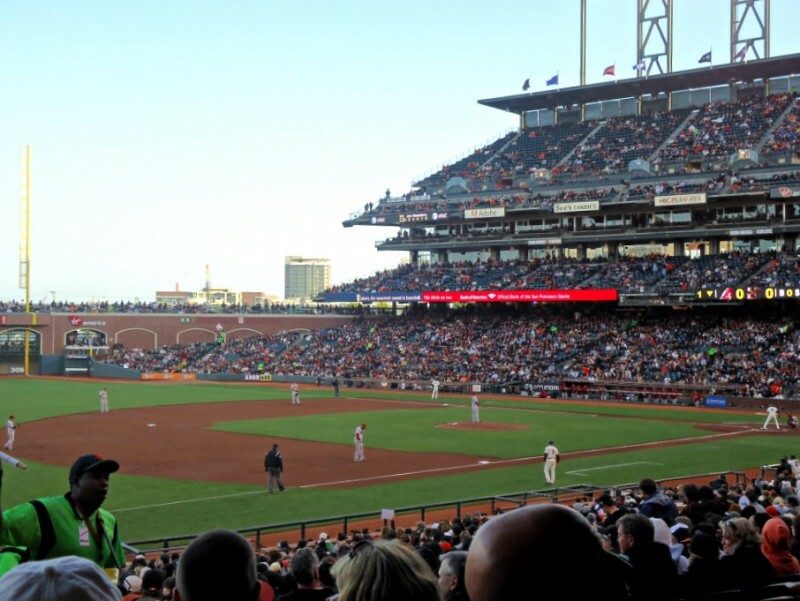 One fine Tuesday in May, Parties That Cook hosted its 2nd Annual Giants Game and Tailgate Party – the San Francisco office’s version of a team building event. At just before 4pm, Rosie and Rebecca headed downstairs to the shed to get the buffet set up. Before long, stomachs were growling, and it was clear we were ready to EAT. 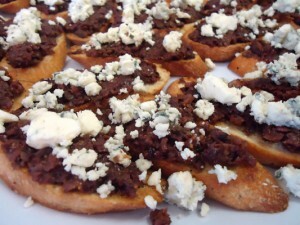 Chef Anne started us off with a delicious (and familiar-looking) Crostini of Kalamata Olives, Figs, and Blue Cheese. YUM. 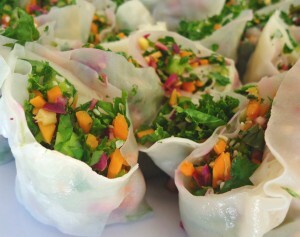 Chef Jen brought over some beautiful Spring Rolls that packed some heat! 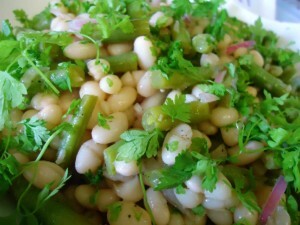 Kelle made a cool Bean Salad – usually Three Bean Salad in Arizona. Kelle nixed bean three, and felt “Two Bean Salad” didn’t quite have the same ring to it. John bought tasty pupusas as a backup dish for his daughters, along with a fresh Shrimp Salad and a couple types of mignonettes for the Oysters! 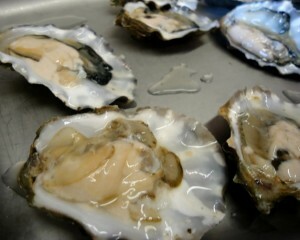 Laura spent the day at Bodega Bay, and couldn’t leave without buying as many unbelievably FRESH Oysters as she could. When it came time to walk over to the ballpark, folks were in a frenzy slurping down oysters! 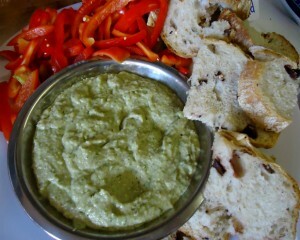 Chef Heather whipped up a fabulously healthy Pesto Dip, accompanied by Red Bell Pepper dippers and rustic sliced bread. **No need to be alarmed by this display of pure health. We later saw Heather pull a full chocolate cake (flourless) out of her purse at the game. 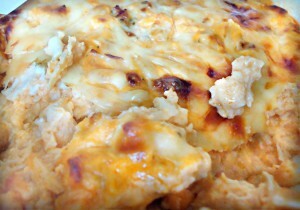 Erica arrived in true tailgate fashion, which a cheesy, gooey, piping hot Buffalo Chicken Dip (recipe coming soon). A favorite in her sister’s East Coast house is now a PTC legend. What little was left is now being hoarded in our fridge and rationed out to make it last. 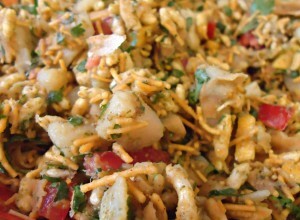 Chef Tanya did us all a favor and recreated one of her favorite Indian Chaat dishes: Bhel Puri. This flurry of potato, tomato, mango, onion, green chutney, tamarind, and puffed rice was SO good! Even Rebecca, the resident spicy foods refuser couldn’t help herself. 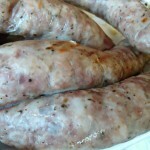 Her warning: the heat is definitely noticeable, but the flavors are worth it! 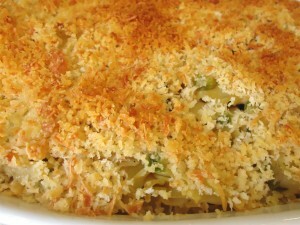 Crissy decided to make a beast of a Tuna Casserole. Someone was eager to dig in before I could get a shot of the perfectly-topped and undisturbed casserole. Even with the office attacking appetizing leftovers for days, the dish stood strong. Well played, casserole. 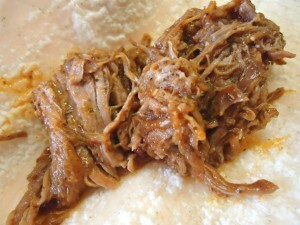 Chef David was on site making the best Carnitas I’ve had in a long time. Tacos for everyone! 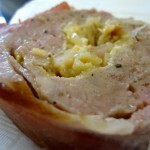 Bibby was so excited to share her Mom’s famous recipe for “Oven Sandwiches”. 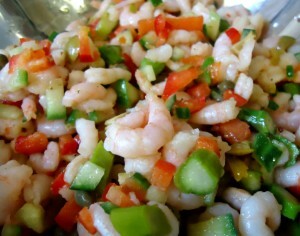 (Recipe coming soon!) 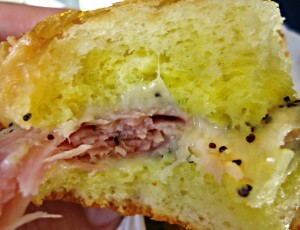 Bibby opted for Brioche Buns instead of hot dog buns, and I’d venture to say the easy switch made a world of difference. Simple ingredients. Simple steps. Simply delicious. What more is there to say? Rosie spent the day slaving away at her… desk. She cleverly set up a slow-cooker in the office so she could keep her work day productive. 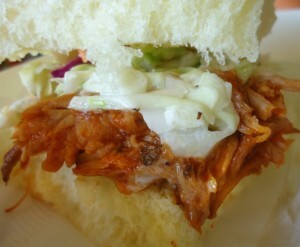 The results: amazingly delicious, tender, and saucy Pulled Pork Sliders. 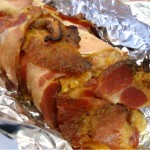 Oh man, my mouth is watering just at the thought! 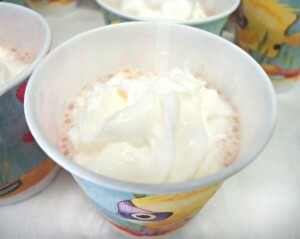 Michelene mixed together adorable Chocolate Milkshake Shooters. Unfortunately, their convenient size allowed folks to easily take multiple shots. Even without any alcohol involved, I had a tough time cutting myself off! 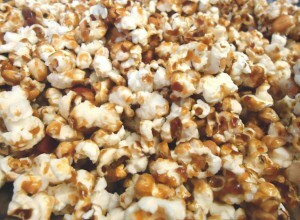 And last, but certainly not least: Beth brought in homemade, stick-to-your-teeth-but-you-don’t-even-care, dentist’s worst nightmare Caramel Corn! She even added her own personal touch – Cayenne. You better believe this popcorn with a kick was smuggled into the Giant’s game. It’s the quintessential ballpark snack! Ah, sweet satisfaction. Don’t you just love eating way too much good food? At least we had the opportunity to walk some of this smorgasbord off on the way to AT&T park! Check back for Bibby’s Oven Sandwich recipe, the Buffalo Chicken Dip, and more inside scoops on life working at Parties That Cook!